Jarinn Settsu is a senior in Kinesiology through the College of Public Health and Human Sciences and an International Ambassador for the Office of Global Opportunities. Last winter/spring semester, Jarinn travelled to Sydney, Australia on an OSU Exchange Program for the adventure of a lifetime. Read on to learn about his favorite parts about being abroad in a strange, new culture! My most memorable experience about studying abroad in Sydney, Australia was definitely, as cliché as it is, having barbeques by the beach. During the barbeques I had the unique opportunity to try some food native to Australia. I’m not talking koala burgers or quokka sausages, but I am talking about Kangaroo steaks and emu burgers. The reason why these barbeques were the most memorable experience of my time studying abroad is because it gave me the opportunity to interact with people who lived in Australia their entire life and from people from all over the world. At these barbeques, there were people from the United Kingdom to Saudi Arabia, from Florence, Italy to Beijing, and all the countries in between. 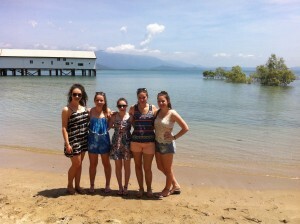 It allowed me to learn not only about my culture and the Australian culture, but cultures all over the world. It’s amazing to see how, no matter where you may live in the world, there are always things you’ll have in common with someone. The differences you may have, whether it be cultural or specific interests, are ways to learn about cultures from people who actually grew up in that culture and get a first hand account of their life and rich history of their culture. The Australian culture, words can’t begin to explain the Australian culture…but I’ll try. The Australian culture is centered around the history of the native Aboriginal people. Because of this, it only seemed right to dive right into trying to learn the history of the Aboriginal people. One way I tried to immerse myself in the Australian culture was through the playing of the didgeridoo. Lets just say I’ll stay in school. But it was an amazing way to learn the stories and history played through the didgeridoo. Although we may come from all backgrounds, countries, and religions, there are some things in the world that people can bond over. Whether it be, food, music, and the desire to experience new cultures outside of our own. We just need to be open and willing to take the time to learn about cultures other than our own, and I believe studying abroad provides you the opportunity to do so. I came to Australia wanting to learn more about the Australian culture, but I left with the experience of learning about cultures all over the world. That’s something that would take years of studying in the classroom, but I was able to in a matter of 15 barbecues. 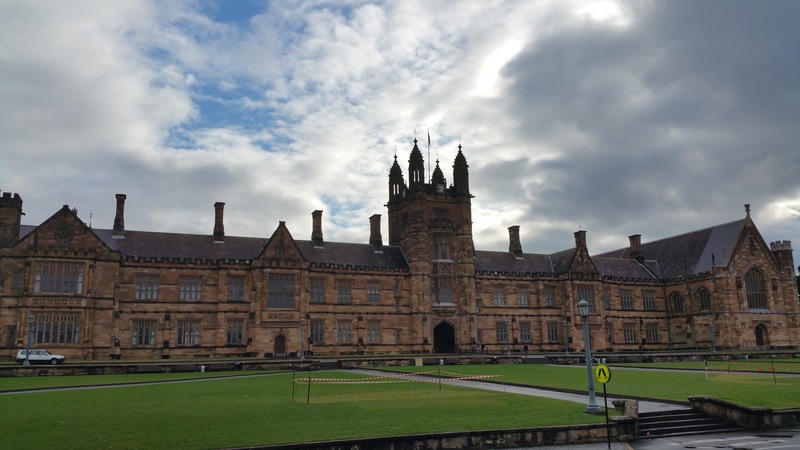 Posted in Australia, College of Public Health and Human Sciences, Exchange, Returnee, study abroad, Uncategorized. 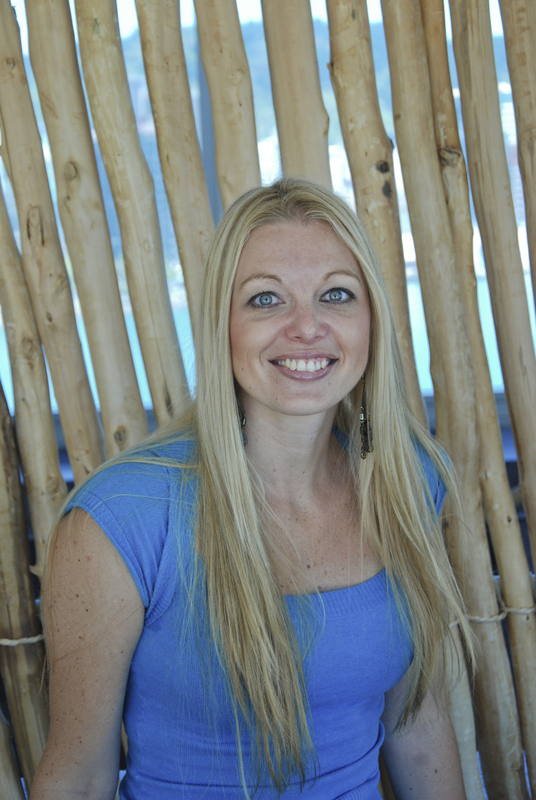 Christi Hoover is a Resident Director in Gold Coast, Australia for IFSA-Butler. Her background in education and travel has prepared her to help students get the most out of their study abroad experience. Read on to learn more about Christi and some of her favorite parts of Australia! I came to Australia to backpack for 6 months and fell in love with the country. I had left a job in education to travel and knew that I wanted to continue to work with students. So, I started in student support as a student services coordinator. Then a few years later, I became manager of student services. That progression lead me to becoming a director. I have been working in international education in Australia for 8 years now and can honestly say that it really is a part of who I am. I love having a job which combines my passions: education, recreation, culture and travel. 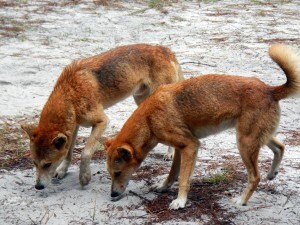 Many of the flora and fauna in Australia cannot be found anywhere else in the world. I live on the Gold Coast which is Australia’s most biologically diverse city. 80% of the population lives within 100 km (62 miles) of the coast, making it one of the world’s most urbanized coastal dwelling populations. Over 25% of Australians were born in a different country making for a very multicultural population. Melbourne has the largest Greek population in a city outside of Greece. Australia is home to the largest monolith (Uluru) and the largest living organism in the world (the Great Barrier Reef). You can see it from space! Also, Australia is the only country that is also a continent, and the only country that started as a prison. I am from a very small town (population 300) and never got a passport until I was 24. Moving to live overseas was only the second time I had been on a plane. I really had no experience traveling and suddenly, there I was in London with little money and not knowing a soul. I was pretty much just out of school and had turned down a great job to come overseas, so it hadn’t been an easy decision. But challenging myself well outside of my comfort zone was one of the best decisions I have ever made. And let’s just say I’m now on my third passport (and filled every page in the first two). Getting to know the students. I love hearing how this experience has changed students’ lives and how they see themselves and the world. When students share their discoveries, challenges, and successes with me, it really makes it apparent how important cross cultural learning is and I feel privileged that I am involved in this process. I also work with some amazing staff, have the opportunity to take part in some pretty unique experiences, and visit some iconic locations. Managing crisis situations and incidents. Student safety and security is such a priority. A lot of work can go into assessing risk, creating contingency plans and keeping informed so that should there be any situations which require our involvement, we are ready. Rarely are these plans needed, but I always want to stay one step ahead in ensuring that students are informed and feel secure. Unfortunately not everyone has the perfect semester, but if there is a problem I’m usually a part of the solution. Although this can rewarding, it can be challenging. Students are challenged in different ways. However, to pick one challenge that seems to effect most to some degree, I would say homesickness. The first few weeks in a new country can be hard and many students will find they do feel homesick and unsettled. But the vast majority of students don’t want to leave when the semester is coming to an end! I advise students to come to us for support during the tough times as my staff and I have been there ourselves! It’s likely we may be able to really help students feel better and more settled in this new experience. Some others may find it challenging financially. Australia is one of the locations where minimum wage is great and students are able to work part time. But it’s not always easy to find a job, so students shouldn’t rely on this and expect that it is a given. Instead of comparing and contrasting when you come across things that are different, just embrace those differences! Analyze it later should you wish, but just jump into the experience and meet it with enthusiasm and a positive attitude. Like anything, this experience is what you make it. So come with the idea that you are going to try new ways of doing things, learn about new cultures, join new communities and grow as a person! If you wanted things to be the same, you could have stayed back home, but you stepped out of your comfort zone for a reason, so don’t waste time or negativity when those differences present themselves. Sunblock, togs (bathing suit) and sand shoes (sneakers) are pretty essential for exploring our amazing environment. And depending on where you study, it does get cooler here in the winter (your summer), so pack some jumpers (sweatshirts) and such. But you can buy those items here if needed, so instead I would say your sense of adventure! Study abroad can be life changing and you will probably learn more about yourself, Australia, and the U.S. then you ever imagined. But you’ll need to be open to new experiences for it to really sink in. I am sure that your semester here in Australia will be one standout experience in your life, but when you return home, don’t shelf the experience. Realize what you have achieved, how you have grown and then continue your journey in learning more about yourself and the world around you. To learn more about this study abroad program, check out this link! 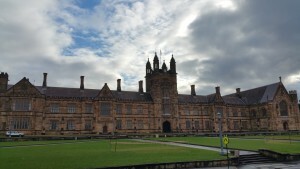 Posted in Australia, IFSA-Butler, Resident Director, study abroad. 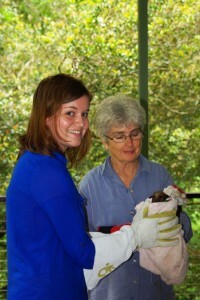 Amanda Freeman is a director with The School for Field Studies (SFS). 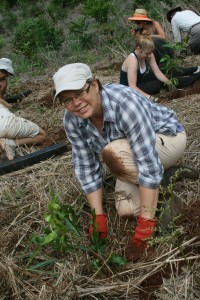 She works in the Centre for Rainforest Studies, which covers 153 acres in the northern part of Queensland, Australia. Every day, she is surrounded by wildlife, nature and amazing students! I had been an SFS faculty at this centre for several years when the Resident Director position became vacant. I was keen to take on a different role in the organization; one with more opportunity to facilitate SFS involvement in the local community and to play a greater part in research planning. Well, it’s certainly not the city. 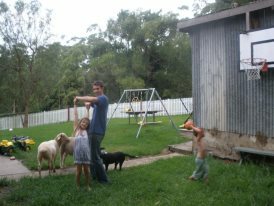 We live and work in a beautiful rural area surrounded by tropical rainforest. We’re also lucky to live in a very vibrant and friendly community. 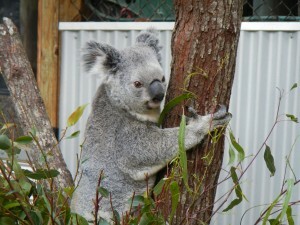 Of course our wildlife is unique – where else can you see platypus and tree-kangaroos for instance? I once got lost on my own study site – so when I am drilling home those safety messages I am talking from experience! Every programme I get to meet another group of enthusiastic young people who are experiencing our environment through fresh eyes. It makes it seem fresh, new and exciting for me too. I also love working to find more ways that our staff and students and the local community can work together and help to make more opportunities for our students to be actively involved. On a day to day basis the work of a RD is also very varied; I’m certainly never bored! It is sometimes challenging to work with different nationalities and different generations. On the other hand, that is also one of the most satisfying and interesting parts of the job. Of course, being on the other side of the world in a different time zone I can’t just pop down to a HQ colleague’s office for a quick chat so communication is sometimes a challenge. Weather is sometimes challenging but we work around it. A few students struggle to let go of home for a while. It is challenging for students to be fully involved in their time here while still trying to keep up with all their friends and family back home. Like most things in life, you reap what you sow. Get involved, make the most of every moment – you may not come this way again. Be open to new experiences and different points of view. Everyone has their story. 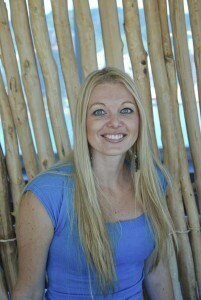 To find out more about Amanda’s program, follow this link! Posted in Australia, Resident Director, SFS, study abroad. Emily (front left) and friends at an OSU football game. Go Beavs! Originally from Melbourne, Australia, Emily is a direct exchange student from the University of Technology in Sydney, Australia. This is a College of Business international exchange program offered to students intrested in studying international business. Arriving here in Fall to study Business and Exercise and Sports Science, Emily tells us about her time in Beaver Nation. 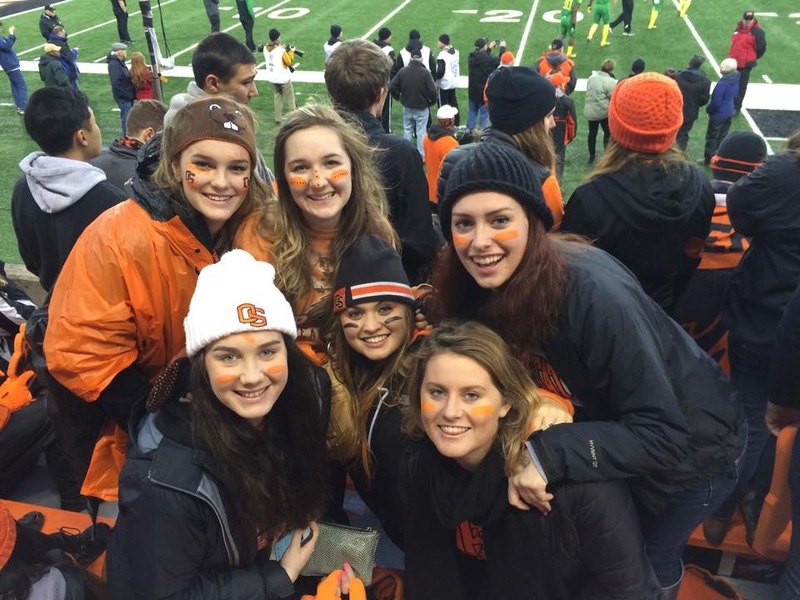 I had heard great things about OSU from people who had studied abroad here in the past and I also loved the idea of living in a college town on the West Coast. Before applying for OSU I hadn’t heard much about Oregon but I was excited to explore such a unique state. There are honestly too many things to mention. However, the college sport has stood out as a big one, the atmosphere is amazing! My home university is in the suburbs of a major city so most people live at home and commute to uni everyday so living in a small college town surrounded by students has been a big change but so much fun too. They both have great international/study abroad programs and the staff have been great on both sides of the world. Both have a very diverse range of study options and are in great locations that make it easy to travel on the weekends and during breaks. People making fun of my accent! No matter where I go or who I speak to there’s always someone who will mention it. It’s always fun when my friends and I come across words that we say differently or have different meanings. We speak the same language but you’ll be amazed at how many times we can’t understand each other! I have loved meeting new people and discovering what its like to live in the PNW and other places within the US and around the world. I’ve also really enjoyed trying new foods, experiencing ‘college life’ and learning about American culture, which I’ve found to be quite different! I have also loved having the opportunity to be independent and travel! What has been one challenging aspect of studying abroad? Being away from family and friends during celebrations such as birthdays and Christmas was tough, but having such incredible friends here at OSU made it so much easier to be away from home. How will your time abroad affect your future career or life? This experience has taught me a lot about who I am and who I want to be. Although I’m still not entirely sure what I want to do in terms of a career, my experiences here have definitely confirmed my love for travelling and exploring. I have had the opportunity to develop new relationships with people, deal with tough situations and find my way around the world- which are all skills that can’t be taught in a classroom but will definitely have an impact on the rest of my life. What is one “take away” or lesson from this experience? ‘Life begins at the end of your comfort zone’. Go for it. What is one thing, person, or experience you are excited to reunite with when you return to your home country? I’m definitely most excited to see my dog when I get home! Being away from him for so long has been one of the most challenging parts of this whole experience. Go for it!! This has honestly been one of the most rewarding, challenging and exciting experiences that I’ve had in my life and I would do it all again in a heartbeat. I now have close friends in Oregon and all over the world, I’ve learnt so much about the American way of life, and I’ve discovered a new meaning of the word ‘independence’. For those looking to study abroad in Australia, don’t be turned off by the wildlife! It’s not as dangerous as you think! 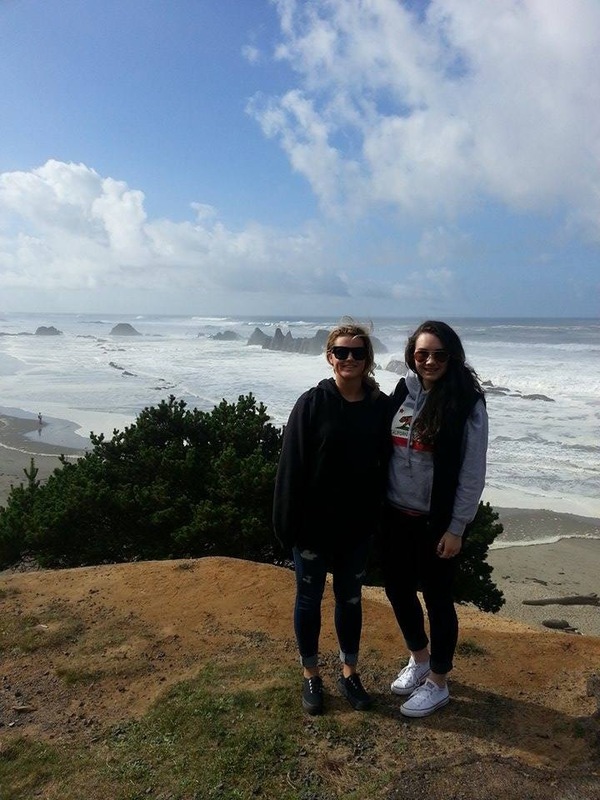 If you’d like to learn more about going on exchange to Emily’s university, follow this link! Posted in Australia, College of Business, College of Public Health and Human Sciences, Exchange. Isaac Soper, is an Oregon State University student with a Natural Resources major in the College of Forestry. 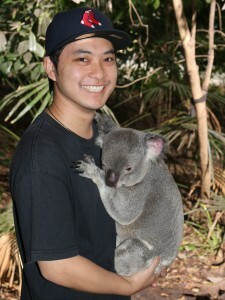 He spent two weeks last summer in Queensland, Australia. While traveling through the College of Forestry’s study abroad program focusing on managing forest resources and ecosystem services, he found many similarities between Australia and his homeland. Though the flight from Los Angeles to Sydney may be one of the longest flights in the world (clocking in at approximately 15 hours non-stop), Australia is similar in many ways to the US, and is also one of the safest and friendliest places to travel in the world. Traveling with three professors and nine students, we hopped the pond over to the slightly strange and delightful country of Australia. Over the duration of two weeks, we toured the state of Queensland in northeastern Australia, so as to gain an understanding of the various aspects of ecological management in the country. Focusing on both nature-based recreation and wood science, we took numerous enjoyable and educational excursions. Ranging from an off-road bus tour of Fraser Island (the world’s largest sand island) to a recycled hardwood mill, we were able to grasp that although Australia may be the country which is farthest from North America and has many unique aspects, the management of its precious resources are very similar to those used in the United States. Thanks to our in-depth look at the natural resource management strategies in Oz (as Australians often call their home), we gained a greater understanding as to how we might manage our ecosystems in our later careers. After returning home to Oregon, I for one cannot wait to travel back to Australia again, as two weeks, though completely worthwhile, is not nearly enough time to explore the amazing Australian continent. For students seeking to understand some of the management strategies regarding recreation and timber harvest, this College of Forestry study abroad is a fantastic opportunity. 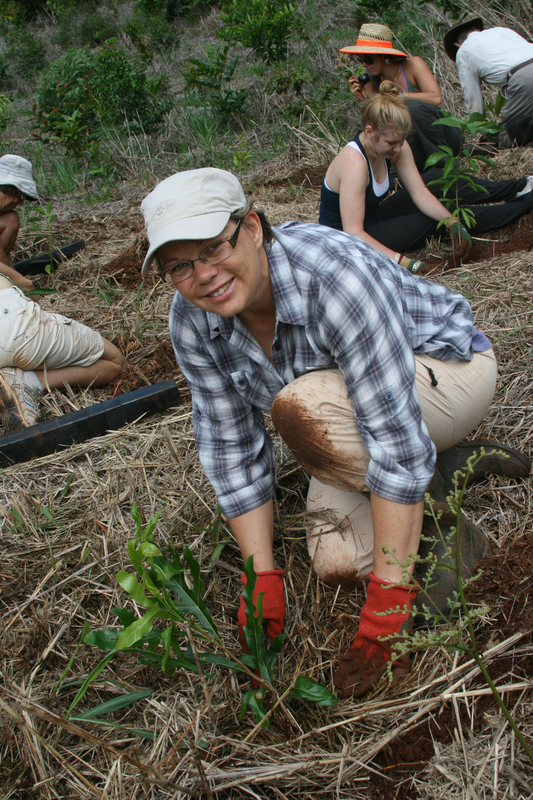 Being a short-term study abroad program, Managing Forest Resources and Ecosystem Services in Australia is a great program for College of Forestry students who are seeking to study abroad and still be able to take classes on campus during the summer. It is also a great program for those who have summer jobs or internships lined up for later in the summer. Posted in Australia, College of Forestry, Returnee, study abroad. Sarah Proffitt is a recent graduate of Oregon State University, where she studied Fisheries and Wildlife Sciences through the College of Agricultural Sciences. 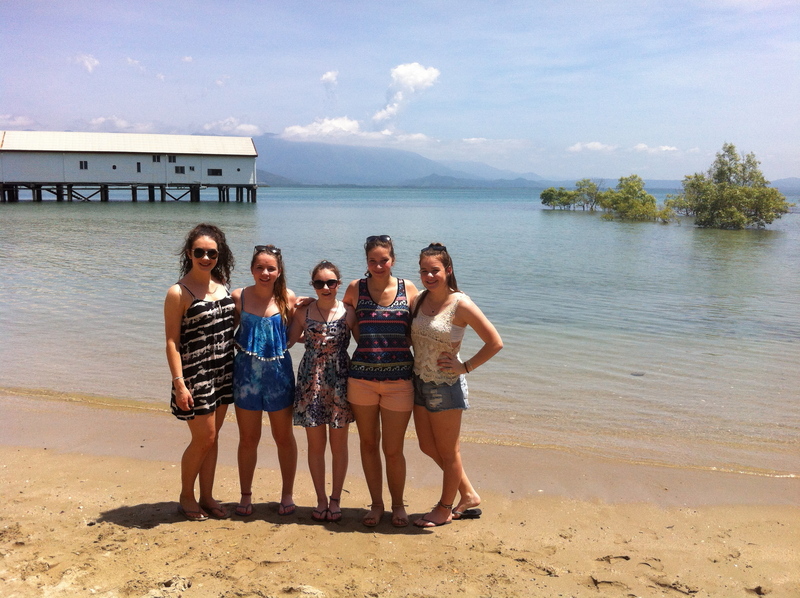 Sarah interned at James Cook University in Cairns, Australia through IE3 Global Internships during summer 2013 and served as an IE3 Global Internships Student Ambassador after returning to the States. Many of us have heard the phrase “everything in Australia is trying to kill you,” but I would argue just the opposite—that everything in Australia made me feel alive! 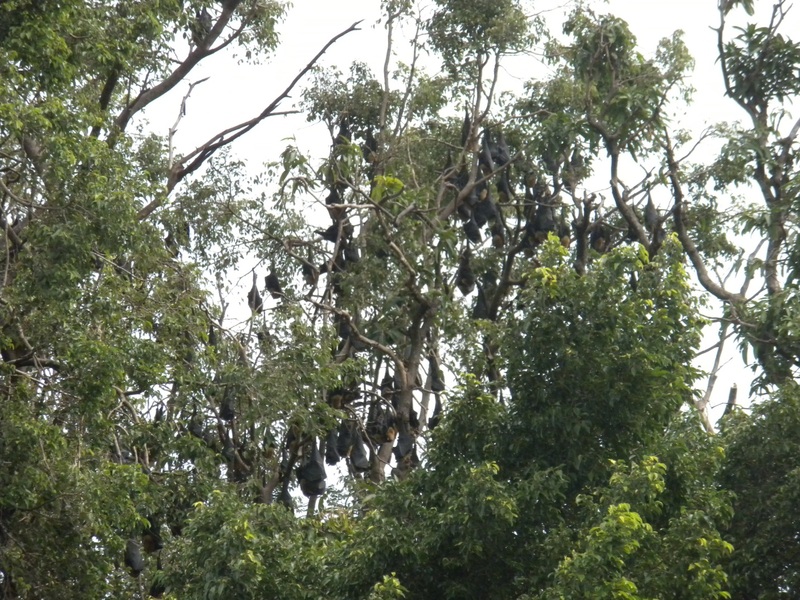 In the summer of 2013 I ventured to the Northeast coast of Australia for an IE3 internship working with several species of bats. As a wildlife science major, I had been training for the past three years to conduct my own research and decided on a behavioral project observing a colony in Cairns. Each day I would sit in front of the colony, which consisted of about 700 large fruit bats, and observe them for 6 hours. I wrote down aggression behaviors, grooming, sleeping, etc. The idea was to find out what these bats were doing all day. As a nocturnal species I expected to observe sleeping bats all day but I found they were much more active and took intermittent naps throughout the day. 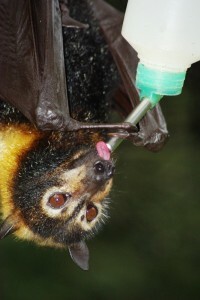 When I wasn’t at the colony I took part in other studies such as mist netting for small blossom bats to determine diet and volunteering at a local bat rehabilitation center. Each experience had its own challenges but with every challenge comes a great reward. The experiences I gained from my IE3 internship have led me to my first job as a college graduate. As of May 2014, I have been working for the Forest Service as a bat surveyor in the Missouri Ozarks. Without my IE3 internship I wouldn’t have even been a candidate for this job. My future boss was impressed with my experience and told me I was her first choice, right off the bat (no pun intended). Now that I’ve graduated, I would eventually like to go back to school to pursue a Master’s degree. As for now, I am planning on taking a few years to work in my field. Maybe I will find new inspiration or maybe I will find myself abroad again. That’s what is so great about the future…it is life’s greatest mystery. 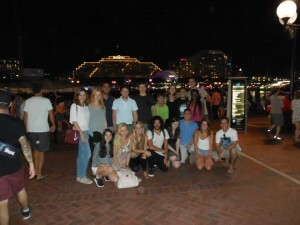 Posted in Australia, College of Agricultural Sciences, IE3 Global Internships, Returnee. Patrick Cousineau is an International Ambassador for the International Degree and Education Abroad office. 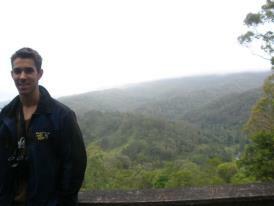 He studied abroad at Deakin University in Australia through the OUS program for winter and spring term of 2012. Patrick is a Senior, studying Natural Resources at Oregon State. Imagine if you were the only person on this planet. What an uncanny feeling that would be. On one hand you observe the peaceful tranquility and uninterrupted natural life around you, but on the other hand lurks an eerie feeling of emptiness. Although just a hypothetical scenario, there are still places left to this day that are so desolate and isolated that you truly start to feel alone. 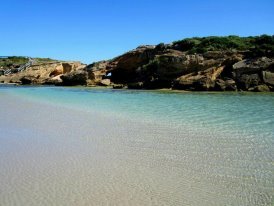 I studied abroad in a small town in south eastern Australia, situated right on the Southern Ocean. It’s not what first comes to people’s mind when they think of Australia, but the Southern Ocean is the coldest, windiest and most unforgiving ocean on this planet. Gail force winds from the Antarctic send monstrous waves to the southern coast, creating some of the most spectacular and intimidating sites imaginable. For obvious reasons, the Southern Ocean is one of the least explored regions left on this planet. It is no wonder why it can seem so lonely. Every once in a while the conditions would cooperate just enough to be able to go surfing. My Aussie roommate and I would set out at around 5 am to avoid the wind that generally picked up later in the morning. We would drive sometimes for hours, looking for the perfect spot and wave to surf. The surf spots couldn’t have been more inaccessible, with strenuous hiking, traversing, and climbing required just getting to the waves. For that very reason, and the fact that most ordinary people would rather be in bed than jumping into 45 degree water at 5 am, there was never another person in sight. I could look for tens of miles in every direction and see no signs of civilization. In all my years of surfing, I have never felt so small, vulnerable, and alone than I did while surfing in Australia’s Southern Ocean. Looking back, I am so fortunate to have had an experience like this. It has made me realize that we are just small components to a greater and more powerful world. A world that can at any time unexpectedly change our lives in ways we had once thought to be beyond the bounds of possibility. Studying abroad in Australia has given me a new perception on life. It has made me realize that your personality is a function of the experiences that have accumulated throughout your life. The more you immerse yourself in new, uncomfortable situations, the more you learn about yourself and ultimately grow as a person. Posted in Australia, OUS, Returnee, study abroad.